Good morning, dear tea friends! It’s great to be back sharing another cup of tea with you. And I’m incredibly happy to report that today’s tea is…..drum roll, please……. The first arrival of the season from the Thurbo estate. I’m just savoring every sip of this marvelous tea, the quintessence of springtime in a cup. Have I ever mentioned that first flush Darjeelings are my favorite tea?? 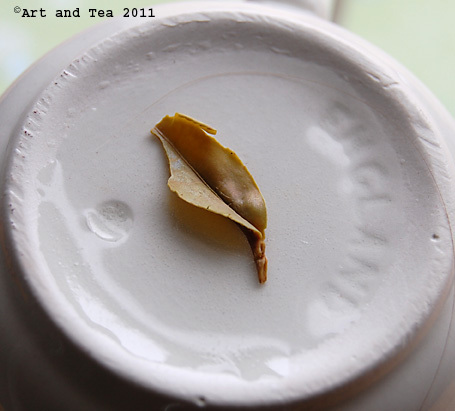 The leaf is bold and quite tippy, meaning the plucking has been from the very new growth on the tea plant. 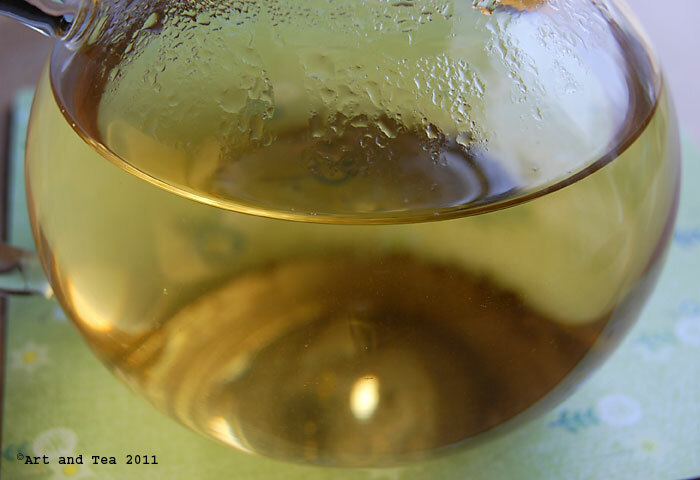 Even though there are spring green-colored bits of leaf, this tea has been processed as a black tea. 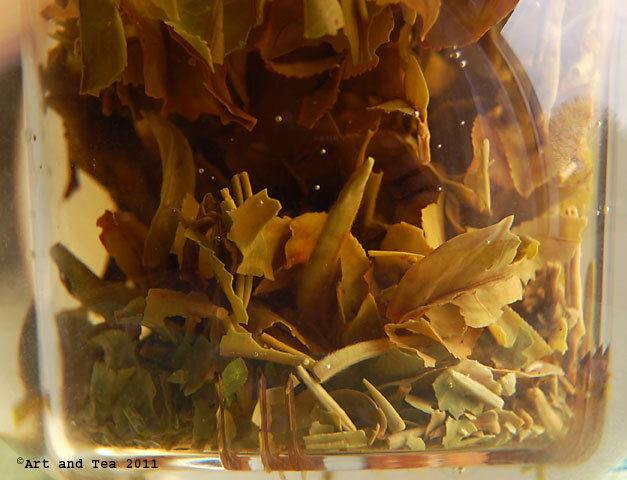 Still, the newness of the growth renders the processed leaf and steeped tea liquor very light and “green” tasting. However green, it’s still very different from an actual green tea. I steeped the leaves for 3 minutes in just under boiling point water. As I lifted the lid of my glass teapot to remove the infuser basket, a fragrant aroma reminiscent of the crisp spiciness of celery greeted me. The light caramel-colored liquor has a sweet flavor with a mild pungency and whispers of tropical fruit like banana. What a special treat to enjoy just back from my Michigan trip. I had another fabulous visit with my family and visited 2 bead stores while I was there, Bead Haven in Frankenmuth and Munro’s in Berkeley. I’ll share photos of my piles of treasure very soon. For now, it’s time to make another pot of tea and get my bones back into my studio. 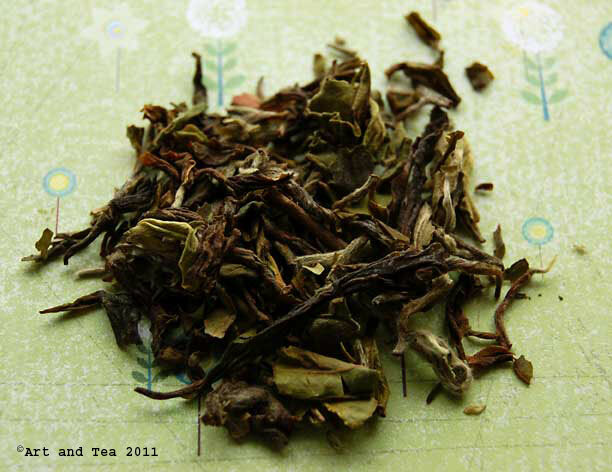 This entry was posted in Darjeeling Tea, Life Musings, Photography, Tea and tagged first flush Darjeeling tea, Thurbo estate Darjeeling tea. Welcome home, Karen. Glad you get to enjoy your favorite tea. Looks welcoming. Karen….missed your review last week and I am glad your back. I’ve never tried a FF Darjeeling from Thurbo Estate. 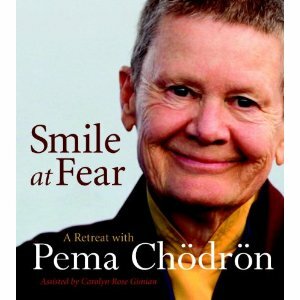 I’ll possibly give this one a try! I’ve also been interested in #TD18 from the Arya Estate, and the Pre Chingming selections! Wow, I have to choose at least ONE FF selection! Choosing one will be difficult. 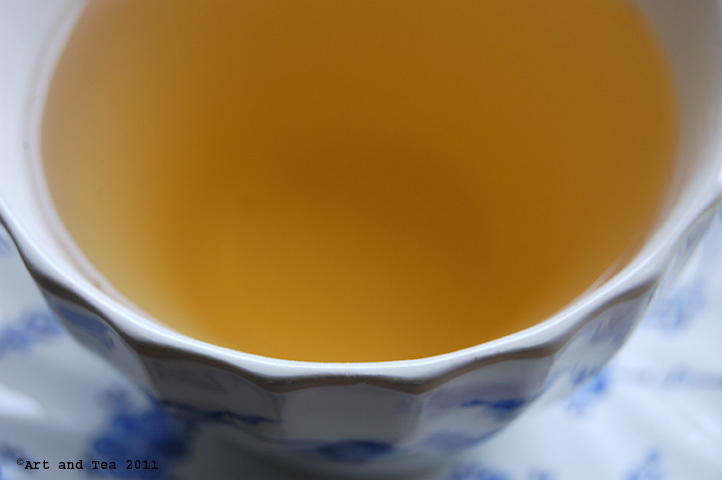 FF Darjeelings are also my favorite, along with a good Jasmine tea, I noticed your teacup is made in England. Could you tell me a little more about it?! THANKS!! Oh! I almost forgot. Last year a couple friends of mine, who are a couple, were in Frankenmuth. If I’m correct, that is where they have a huge Christmas village, and they purchased a “South Paw” guitar ornament for me! Although I’m a Rightie, I played guitar as a Leftie. Maybe I’ll start playing again. Thanks Judy, it’s a wonderful tea! Thanks Scott! This is my favorite first flush of the season so far. At this time, we have two, Thurbo and Arya. I purchased those teacups and saucers about 25 years ago at a store that, unfortunately, no longer exists. It was called Jordan Marsh and I think it was only here in MA. The cups and saucers have a pretty blue on white pattern and also came with a small teapot. Oh yes, there is an HUGE Christmas store in Frankenmuth, called Bronner’s. We stopped in and got quickly overwhelmed, lol. Yes, you can get any kind of Christmas ornament that you can think of there. Interesting that you played guitar as a lefty! I love instrumental guitar. Enjoy playing! Oh I just love teas from Thurbo Estates though I do have to admit I tend to prefer the richer flavors of the 2nd Flush Darjeelings.